It’s well known that light travels more slowly when it passes through different materials. This phenomenon, known as refraction, creates optical illusions like a seemingly broken drinking straw sticking out of a glass of water. But the speed of light in a vacuum, a little under 300,000,000 metres per second, is an unwavering constant that underpins much of modern physics, including Albert Einstein’s theory of relativity. 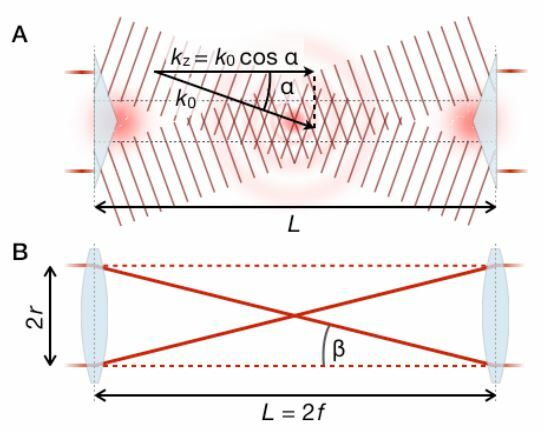 It’s so important that physicists give it a single letter: c.
The team revealed this oddity by studying two kinds of shaped light: a Bessel beam, which looks like concentric rings of light, and a Gaussian beam, which spreads out as it travels. They used an ultraviolet laser to produce pairs of photons and passed one photon through a filter to shape it into either a Bessel or Gaussian beam. Both photons travelled one metre before hitting a detector, so they should have arrived at the same time, but the shaped photon was slightly delayed. This entry was posted in TECHNOLOGY and tagged speed of light. Bookmark the permalink.